Following on from their previous mouse creation the SPHEREtouch. OreObject have this week unveiled their latest innovation in the form of the Sphere 2 mouse. Which could easily be mistaken for perfume packaging. 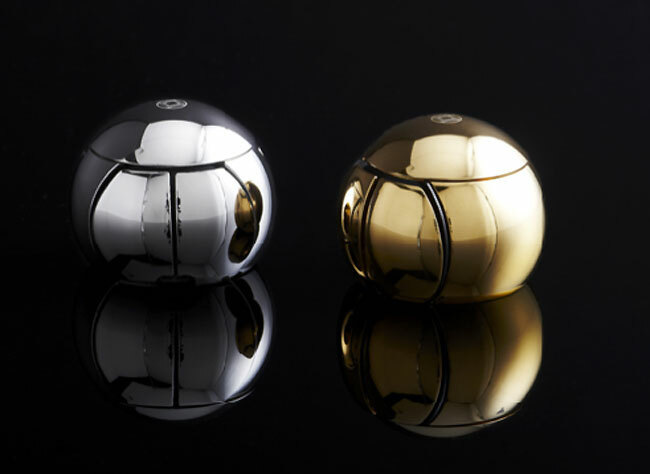 The OreObject SPHERE 2 mouse has been constructed from “surgical grade” stainless steel, and comes equipped with two buttons and a scroll wheel providing four way scrolling. Together with a tangle-free USB cord which can be detached after charging. If you like the look of the SPHERE 2 Mouse, OreObject are currently taking pre-orders for 1000 units before the holiday season begins, and sys that they will be shipped and with you by December 15th. OreObject also offer a free custom engraving service for corporate gift orders. So all you need to do now is decide which finish you would like : titanium $185, gold $290 or platinum $320. Ouch!